WASHINGTON (AP) — Russia's efforts to expand its influence and China's modernizing military are among the "ever more diverse" threats facing the U.S., according to a major intelligence report released Tuesday. The National Intelligence Strategy report, issued every four years, also singles out such potential threats as North Korea's pursuit of nuclear weapons, the growing cyber capabilities of U.S. adversaries and global political instability. Senate Democrats are demanding a classified briefing to find out if U.S. intelligence knew anything beforehand about plans by Saudi Arabia to abduct or harm a writer for The Washington Post who was killed earlier this month. WASHINGTON (AP) — Democrats on the Senate Foreign Relations Committee are asking Secretary of State Mike Pompeo to provide the panel with the translator's notes and other materials from President Donald Trump's Helsinki summit with Russian President Vladimir Putin. ASPEN, Colo. (AP) — Even Donald Trump's intelligence chief doesn't know what was said in the president's one-on-one meeting with Russian President Vladimir Putin this week in Helsinki. Coats made those surprise admissions Thursday in his first public comments since rebutting Trump's questioning of the U.S. intelligence assessment that Russia interfered in the 2016 election. National Intelligence Director Dan Coats was surprised to learn Thursday that Russian President Vladimir Putin had been invited to the White House this fall. 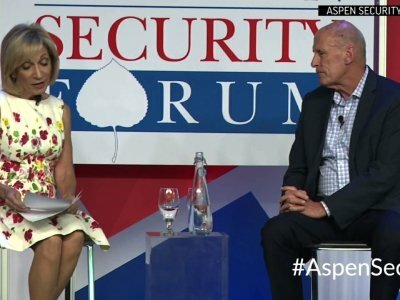 A moderator at the Aspen Security Forum, where Coats was speaking in Colorado, broke into their conversation to describe the invitation. On Tuesday, President Donald Trump said he misspoke the previous day about whether he believed the assessment of his intelligence agencies, that Russia meddled with the 2016 elections. WASHINGTON (AP) — Warning lights about cyber threats to U.S. national security are "blinking red" and the digital attempts to undermine America are occurring daily, not just at election time, the nation's top intelligence official said Friday. INDIANAPOLIS (AP) — Gov. Eric J. Holcomb has appointed a fellow former top aide to then-Sen. Dan Coats to chair the Indiana Gaming Commission. Holcomb on Friday named Indianapolis attorney Michael McMains to the position, effective April 5. McMains was an aide to then-Sen. Coats from 2010 to 2017, first as his state director and then as senior counsel. Holcomb is a former state chief of staff to Coats. Mike Pompeo, President Trump's pick to lead the State Department, told Congress on Thursday that he has been interviewed by special counsel Bob Mueller's probe into the Trump administration, but declined to say what he was asked about. WASHINGTON (AP) — The Trump administration is weighing further retaliation against Russia for meddling in the election and interfering in the affairs of the United States and its allies, the top U.S. intelligence official said Wednesday. Mike Pompeo is the guy who gives President Trump bad news daily. As director of the CIA, Mr. Pompeo travels most mornings from the agency's headquarters in Langley, Virginia, to the White House to present Mr. Trump with a classified report of global hot spots and national-security emergencies known as the Presidential Daily Brief, or PDB. The process to obtain access to classified government information has become so "absurd" that when then-Sen. Dan Coats, who served on the Senate Intelligence Committee, was named President Trump's director of national intelligence, he needed to reapply for a security clearance. "Because there was that short-term gap, he had to go through a whole new security clearance process," Virginia Sen. Mark Warner, the ranking Democrat on the Senate intelligence panel. "That was pretty absurd." WASHINGTON (AP) — President Donald Trump greeted North Korea's reported willingness to negotiate away its atomic weapons with both hope and skepticism Tuesday, insisting a potential diplomatic breakthrough be tested against the North's long history of deception and threats to target U.S. cities with nuclear missiles. The absolute minimum we expect from our elected representatives is to keep us safe from foreign powers. Republicans in both Washington and Wisconsin are failing spectacularly at this basic task. Director of National Intelligence Dan Coats testified recently that Russian efforts to influence and obstruct our mid-term elections have already begun, yet we still have no national strategy and no apparent desire to implement one. The Russians are Coming! The Russians are Coming! was a Cold War-era comedy about a beached Russian submarine sparking a panicked reaction on a small Massachusetts island. The farcical films title, of course, echoed Paul Reveres Revolutionary War warning about the British, an alarm still revered as the essence of preparation and patriotism. White House Chief of Staff John F. Kelly announced an overhaul Friday of the government's system for managing security-clearance investigations, after the embarrassing case of a top aide to President Trump who kept working amid domestic-abuse allegations. In a five-page memo, Mr. Kelly acknowledged mistakes and put the responsibility on the FBI and Justice Department to hand-deliver updates on background investigations. WASHINGTON (AP) — Three of the nation's top intelligence officials confirmed Tuesday that they have seen evidence of Russian meddling in the upcoming midterm elections — part of what they say is Moscow's escalating cyber assault on American and European democracies. "We have seen Russian activity and intentions to have an impact on the next election cycle," CIA Director Mike Pompeo told the Senate intelligence committee. Top U.S. intelligence officials said Tuesday that Russia is laying the online groundwork to meddle in this year's midterm elections, and they warned that both Russia and China are barreling toward weapons designed to take out American satellites in space. The nation's top intelligence officials say the U.S. is seeing signs of Russian meddling in upcoming midterm elections. 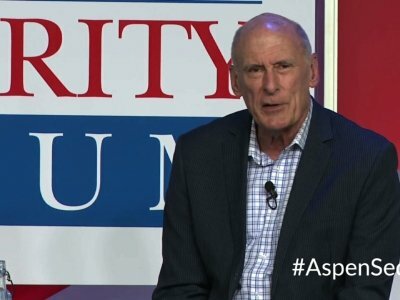 Director of National Intelligence Dan Coats warned Tuesday that the national debt has become a danger to national security, joining other problems such as cyber attacks, space combat and continuing terrorist threats. "This situation is unsustainable and represents a dire threat to our economic and national security," Mr. Coats said at an open hearing before the Senate intelligence committee reviewing the state of global security problems. U.S. intelligence assesses that Russia will continue targeting the American media and political spaces with cyber attacks and leaks aimed at creating "wedges that reduce trust and confidence in democratic process," Director of National Intelligence Dan Coats said Tuesday. Mr. Coats, offered the assessment as part of the intelligence community's annual testimony to U.S. lawmakers on the worldwide status of threats facing the United States. Director of National Intelligence Dan Coats met with White House Chief of Staff John Kelly about the possible release of the memo concerning alleged abuses in the justice system, The Washington Post reported. Mr. Coats was concerned about classified information in the memo being released publicly, as well as five other FBI officials who also spoke with Mr. Kelly earlier this week about similar concerns. CIA Director Michael Pompeo on Thursday rejected Senate Minority Leader Charles E. Schumer's attempt to cast suspicion upon his meeting with Russia's top spy. Mr. Pompeo said his meeting in Washington with Sergey Naryshkin, head of the Russian intelligence service known by its acronym SVR, was part of ongoing periodic talks between the two countries on counterterrorism and other issues of mutual concern. Special counsel Robert Mueller is moving at a far faster pace than previously known and appears to be wrapping up at least one key part of his investigation - whether President Donald Trump obstructed justice, according to current and former U.S. officials. WASHINGTON (AP) — The Senate on Thursday passed a bill to renew a critical foreign intelligence collection program dubbed the "holy grail" because it allows U.S. spy agencies to conduct surveillance on foreign targets abroad. The Senate voted 65-34 to reauthorize the controversial program for six years. The bill, which already has been passed by the House, now heads to the White House, where President Donald Trump has said he will sign it into law. WASHINGTON (AP) — President Donald Trump on Tuesday ordered U.S. intelligence agencies to develop rules for disclosing the names of Americans whose identities are blacked out in classified spy reports disseminated across the government. The issue prompted a heated partisan debate after Republicans alleged that Obama administration officials improperly shared the identities of members of Trump's presidential transition team mentioned in intelligence reports. WASHINGTON (AP) — A decision to put the man who handles whistleblower complaints at U.S. spy agencies on administrative leave has raised worries on Capitol Hill that it's part of a plan to hamstring the program that helps intelligence workers report waste, fraud and abuse. A top Republican said he is investigating. WASHINGTON — President Donald Trump’s national intelligence director next month will tighten rules for providing government officials the names of Americans whose identities are blacked out in classified spy reports. WASHINGTON (AP) — President Donald Trump's national intelligence director next month will tighten rules for providing government officials the names of Americans whose identities are blacked out in classified spy reports. INDIANAPOLIS (AP) — A campaign stop for Rep. Luke Messer in his bid for Senate involves traveling from his family's home in suburban Washington back to Indiana, where aides say he typically stays overnight with his mom. Although living outside the state is hardly a first for members of Indiana's congressional delegation, past elections signal Messer's address could complicate his plans to win the Republican primary and ultimately unseat Democratic Sen. Joe Donnelly next year. INDIANAPOLIS (AP) — A campaign stop for Rep. Luke Messer in his bid for Senate involves traveling from his family's home in suburban Washington back to Indiana, where he typically stays overnight with his mom.